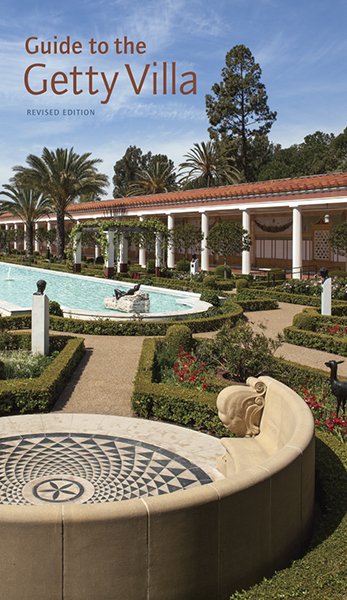 It begins with the history of the site, recounting how, as J. Paul Getty's art collection grew, he chose to house it in a replica of the ancient Roman villa at Herculaneum now known as the Villa dei Papiri. The second chapter chronicles the destruction of Herculaneum in 79 CE during the eruption of Mount Vesuvius, the Villa dei Papiri's rediscovery in the eighteenth century, and more recent archaeological discoveries at the site. The third chapter leads readers on a tour of the Getty Villa, from the cobblestone "Roman road" through the outdoor theater, atrium, peristyles, and gardens; it includes detailed descriptions of special rooms such as the Basilica, the Room of Colored Marbles, the Temple of Herakles, and the Tablinum. The final chapter recounts how Getty began collecting art in the late 1930s, how the collection grew in the decades before and after his death in 1974, and how the displays at the Villa have evolved along with the collection. This edition includes a new director's foreword, as well as revised and refreshed main text, new photography and also includes updated floor plans of the newly reinstalled Villa.